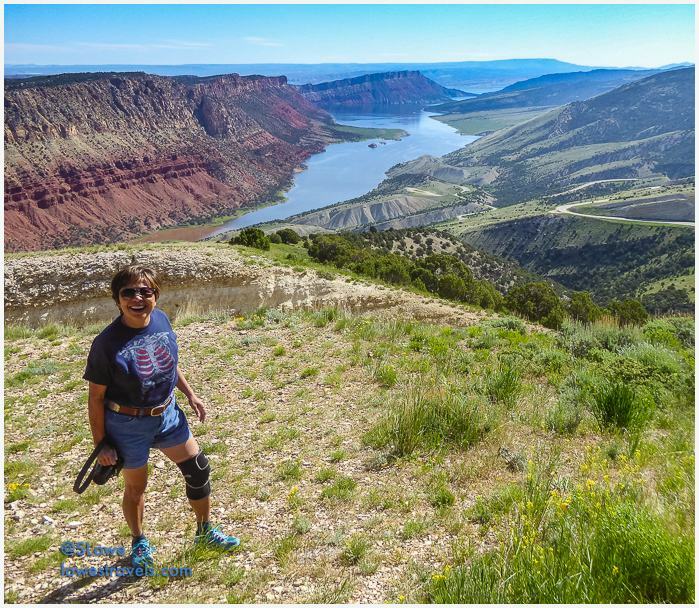 Mellow sightseeing day trips in Flaming Gorge country is just what the doctor ordered, after our last few frenetic stops. The home base here was at Pine Forest RV Park in Dutch John, Utah (Steve’s review here), which was central to our sightseeing adventures. Virtually every road we drove was designated a national or state scenic byway or backway. 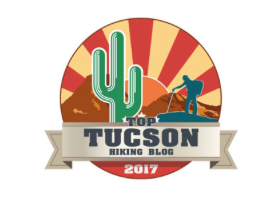 What a great way to enjoy and explore the area as my knee continues to mend – although I know I’ve missed a lot of good hiking trails! 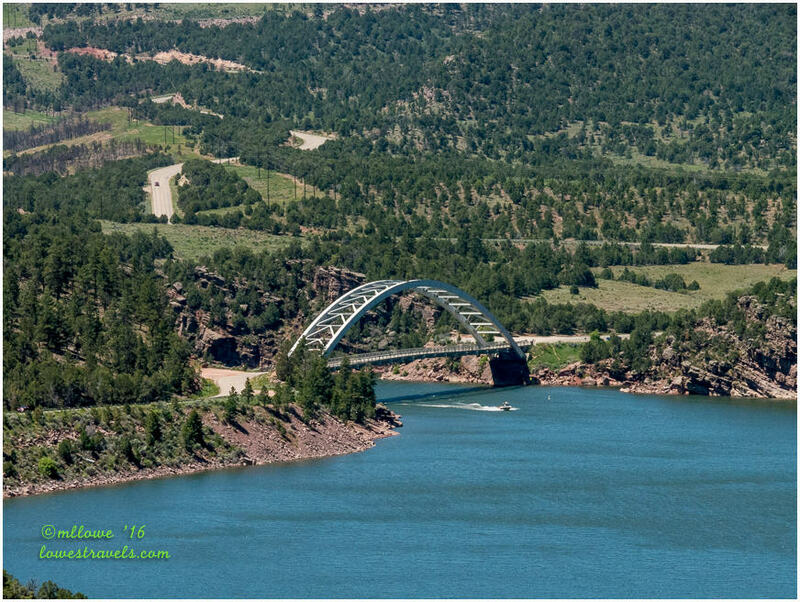 When a place has a catchy name such as Flaming Gorge, we wonder how that name came about. In 1869, Major John Wesley Powell and his men saw a red gorge that looked from a distance like it was on fire due to the way the sun hit it. 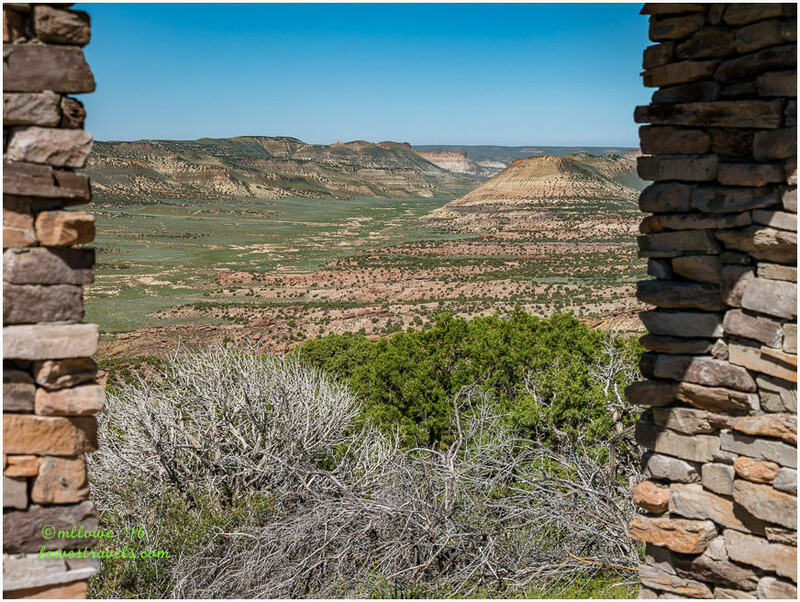 We discovered three spots during our auto hikes of the area that we thought manifested that play of light; Red Canyon overlook, Sheep Creek overlook and Antelope Flats – where Powell thought the water appeared to be flaming. 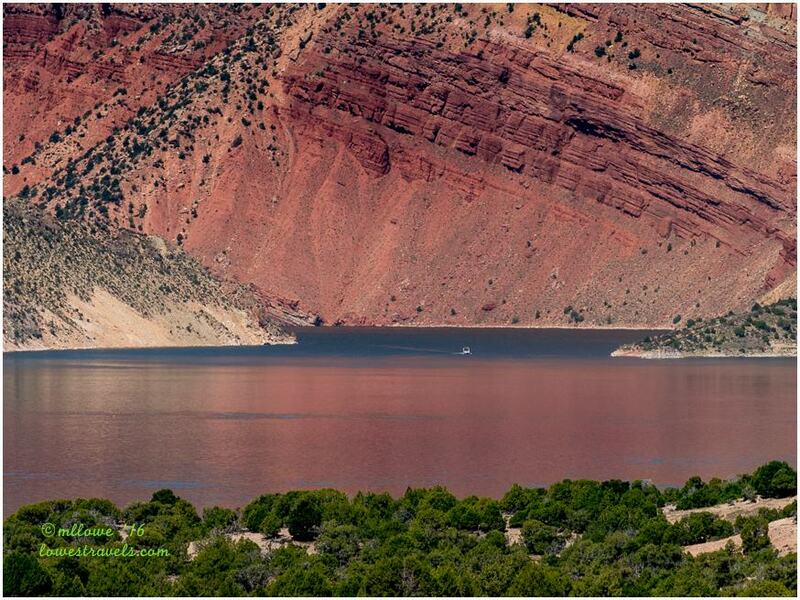 Flaming Gorge is best dramatized at Antelope Flats. Doesn’t it look like the gorge is flaming? 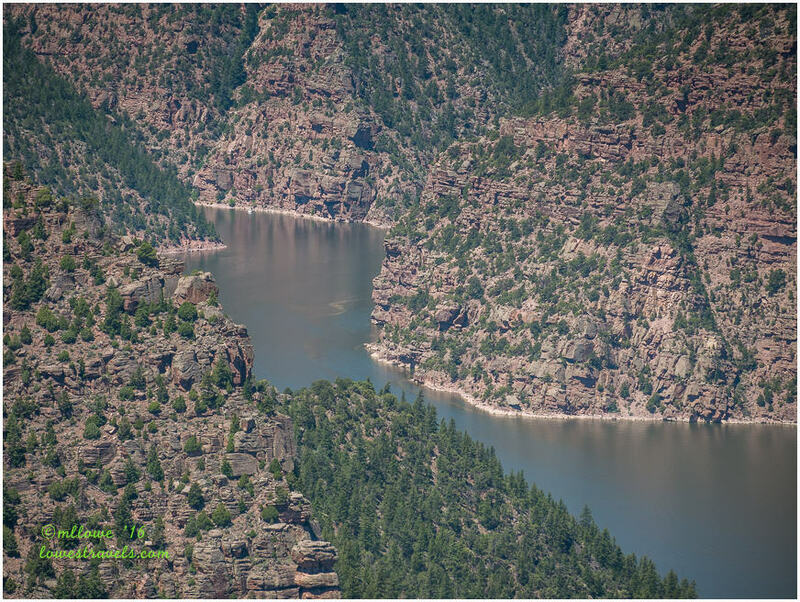 The heart of this country is the 91-mile long reservoir – also called Lake Flaming Gorge – created by Flaming Gorge Dam which spans the Utah and Wyoming border. 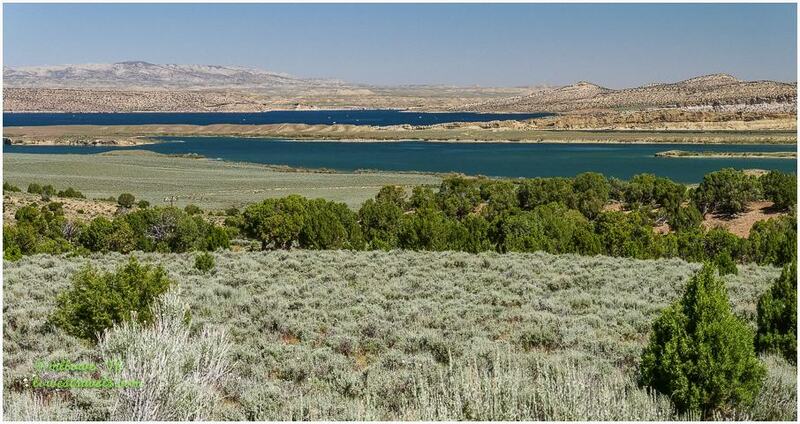 With more than 300 miles of shoreline for water activities, the Utah section of the lake winds through colorful narrow canyons, while the Wyoming portion is wider and surrounded by high sagebrush deserts. 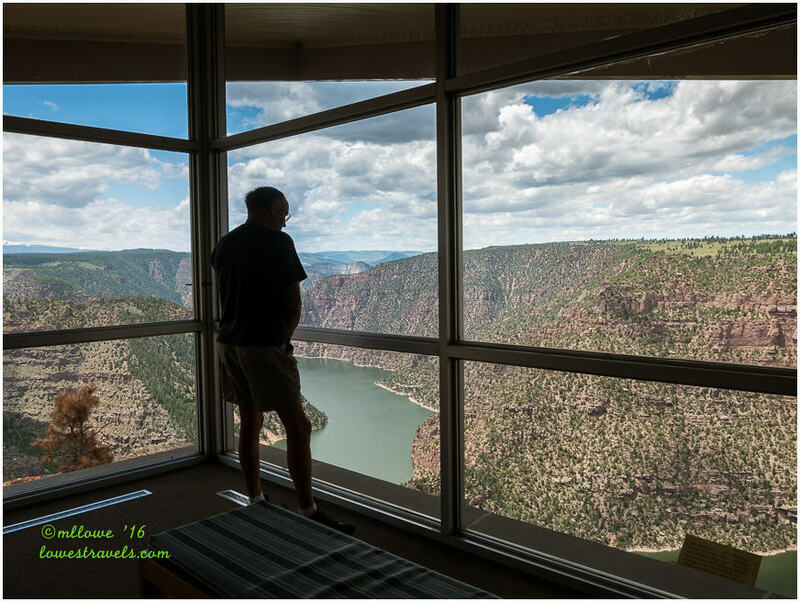 The Flaming Gorge Recreation Area is a popular Utah attraction, although we were happy to see that it wasn’t overrun by people during our stay. 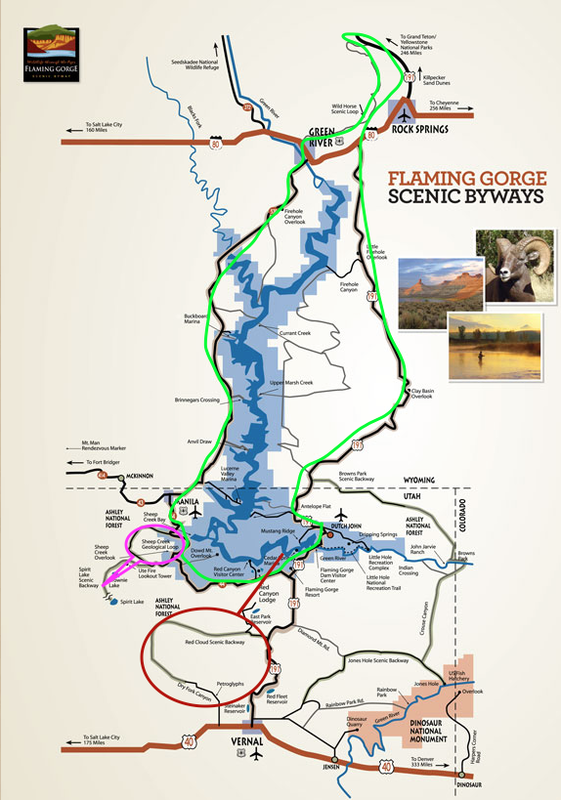 Of the many byways and backways here, we chose four for our roadway adventures; Flaming Gorge-Uintas National Scenic Byway (green line on the map), Sheep Creek Geologic Loop, Spirit Lake Backway (pink line) and Red Cloud Scenic Backway (red line). 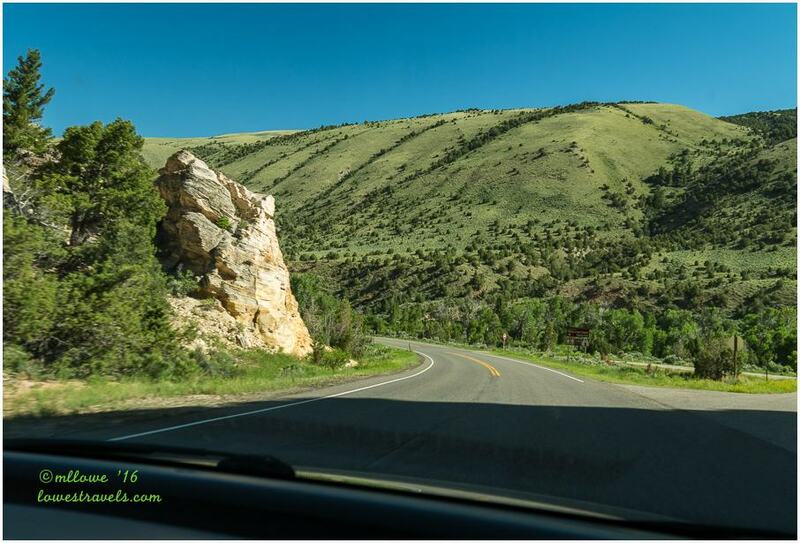 The route we took as we moved our home base from Vernal to Flaming Gorge was also part of the scenic byway. This drive traversed a wide variety of landscapes. 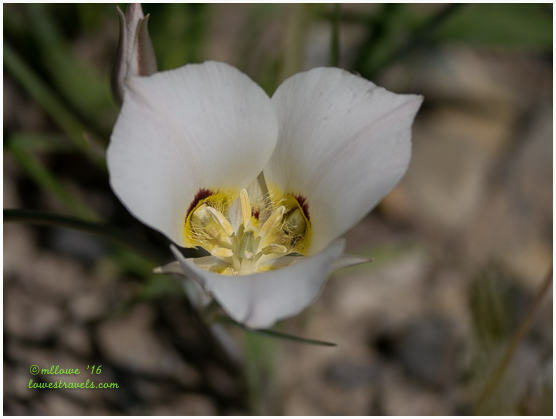 It was a full-day trek that crossed the Wyoming/Utah border while winding through high desert, astonishing rock formations and the glistening eastern flank of the Uinta Mountain peaks. We stopped at Flaming Gorge Dam, just up Hwy 191 from our campground. Impounding the Green River and creating the reservoir behind it, the dam stands 502 feet above its foundation, and 448 feet above the river. We joined a free tour (our favorite kind!) which gave us an up-close view inside and around the structure. 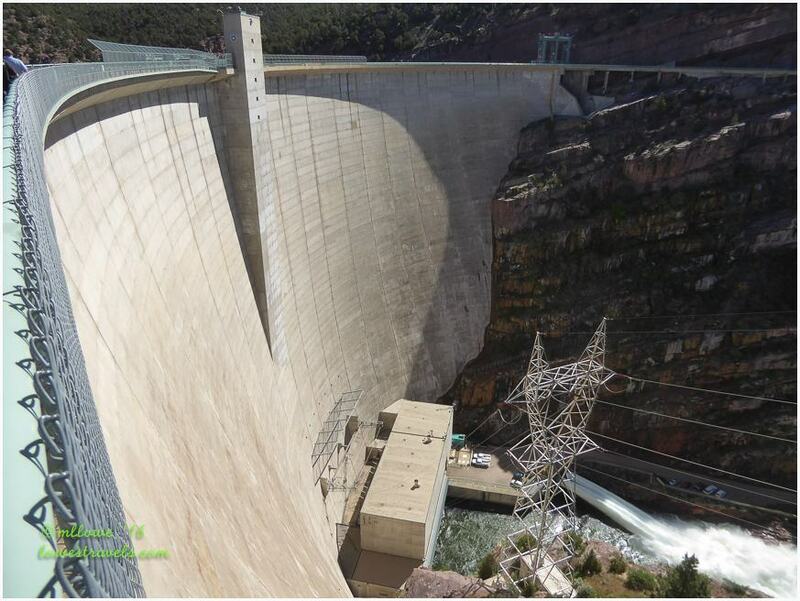 It was built to provide water storage, with hydroelectric power capability added halfway through the project. Completed in 1964, it took six years to build and 12 more years for the reservoir to fill behind it. 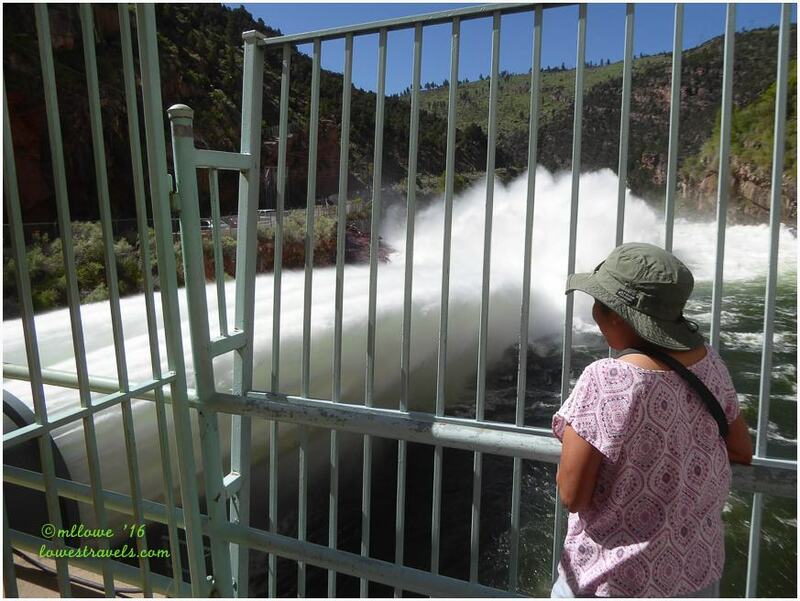 Unseasonably high temperatures during our stay caused excessive runoff into the reservoir, so we were able to view all of the generators running plus water cascading through the dam’s two 72-inch water gates – a rare occurrence. The rushing water from these pipes was deafening! Crossing the Utah/Wyoming border, we stopped for lunch at Rock Springs, WY. Then we continued to the Wild Horse Scenic Loop, which was a bust. We didn’t see a single one of the 250 wild horses that roam this vast 392,000 acre area while driving the 24-mile gravel road that exited at Green River, WY. 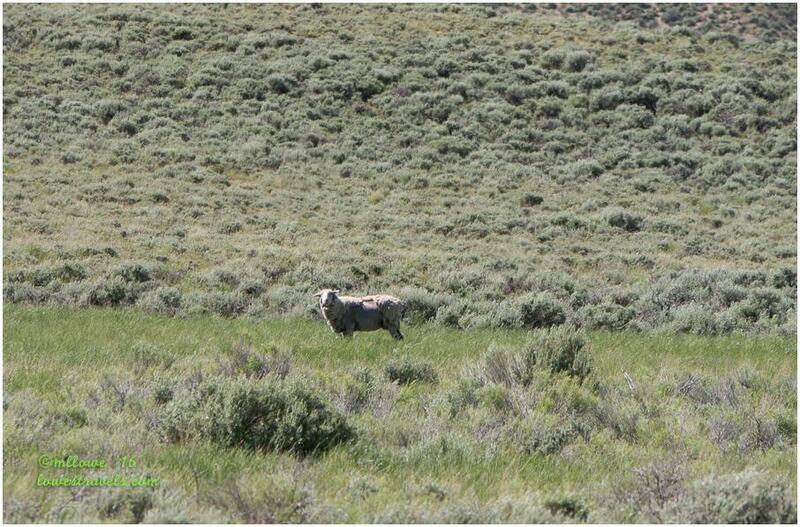 In search of a wild horse – none over here! 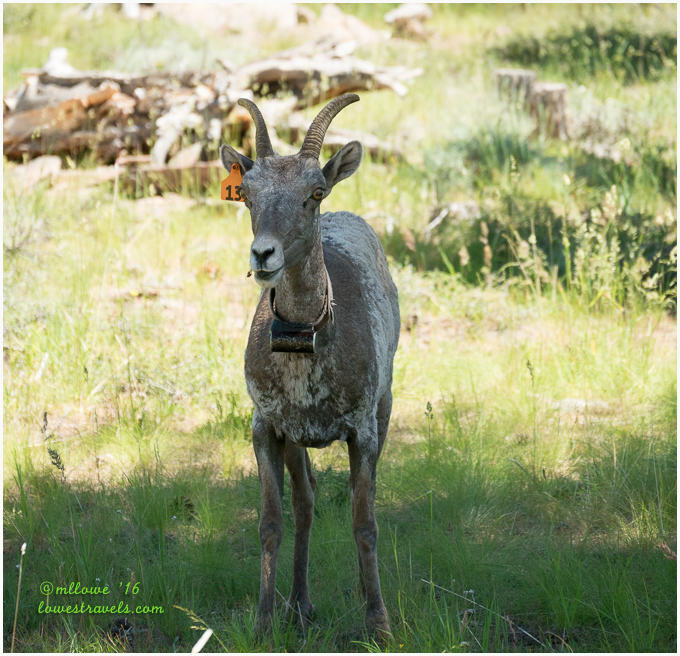 Next we took Hwy 530 south and continued along the west side of Lake Flaming Gorge. Going through Manila, we took Hwy 44-E back to the campground. It was a long 200+ mile driving day, but we enjoyed each overlook showcasing the splendor of the gorge. This backway took us through some dramatic geologic features. Despite our recent experiences with spectacular rock formations in southern Utah, we were still in awe of these. 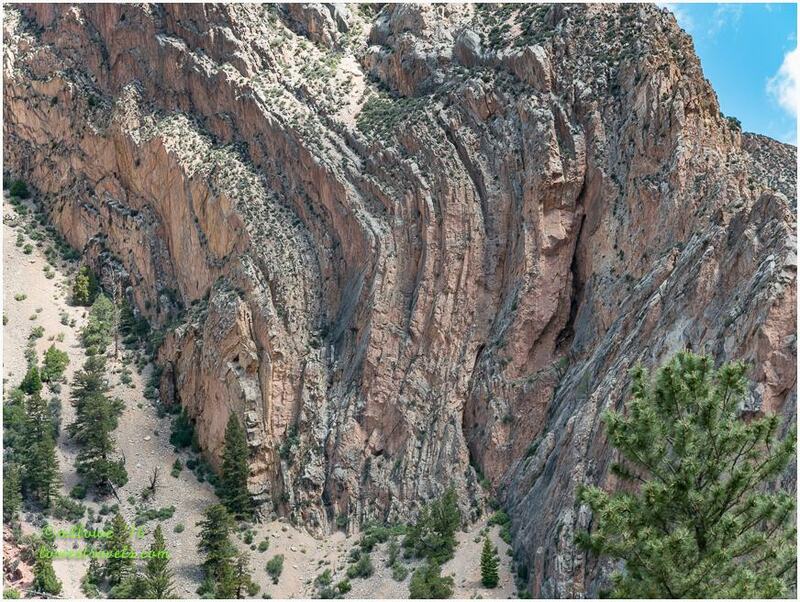 More than a billion years of geologic history is showcased on this loop. What’s unique here is that the formations are labelled, allowing folks to identify specific ones from the map and relate to what they’re seeing. 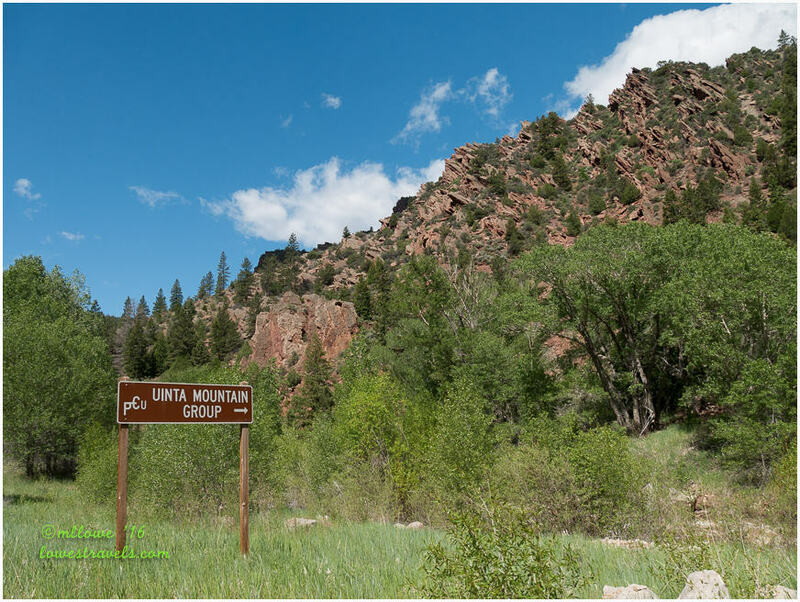 Another interesting feature here is what’s called the Uinta Fault, which runs for more than 100 miles along the north slope of the Uinta Mountains. One formation that really got our attention was the extremely twisted rock layers along the upper part of the loop we drove. The Spirit Lake backway spurred off the Sheep Creek Geological Loop. 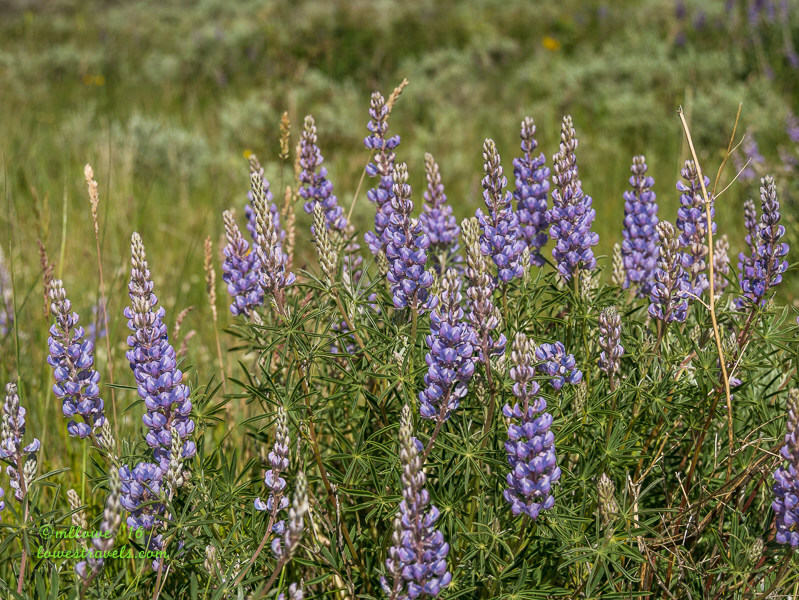 It’s a dirt road that winds through pine and aspen forests, and wildflower-filled meadows. The alpine vistas of the High Uintas was a gorgeous backdrop as we moved along. 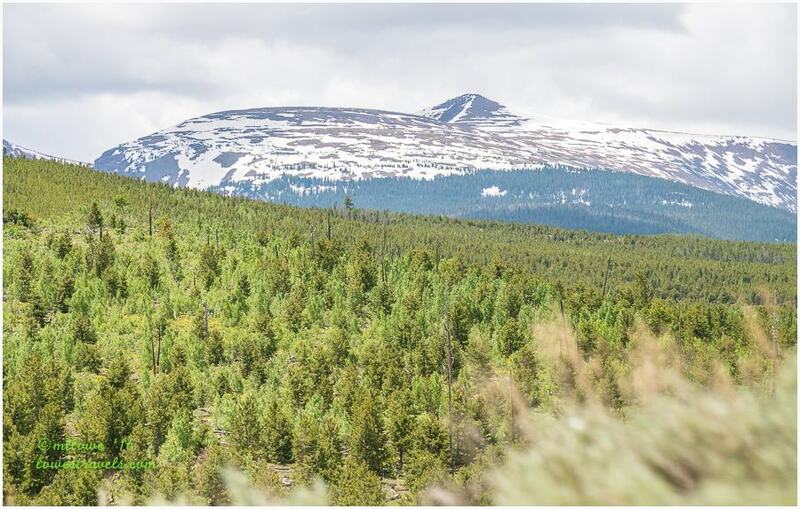 This drive crossed broad meadows, aspen groves and a sea of lodgepole pine forests. 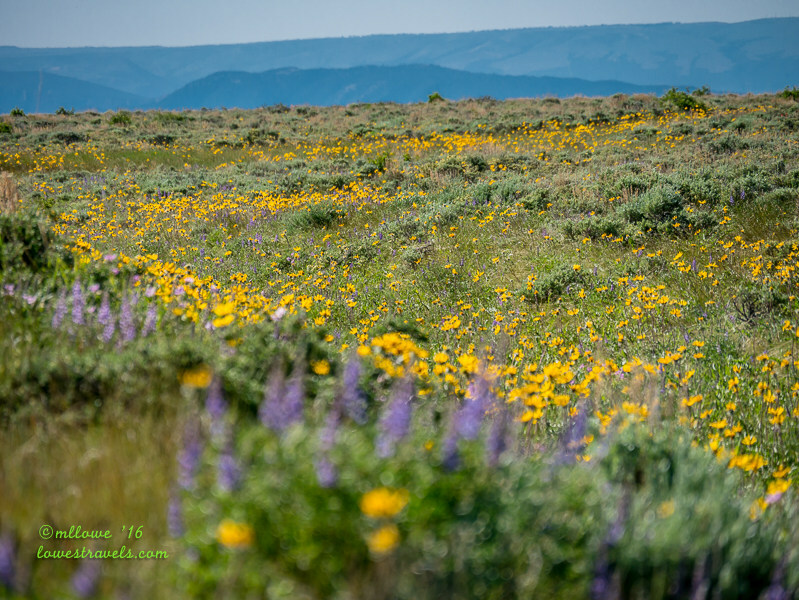 The vibrant wildflowers along the road made me force Steve to stop several times so I could capture them. 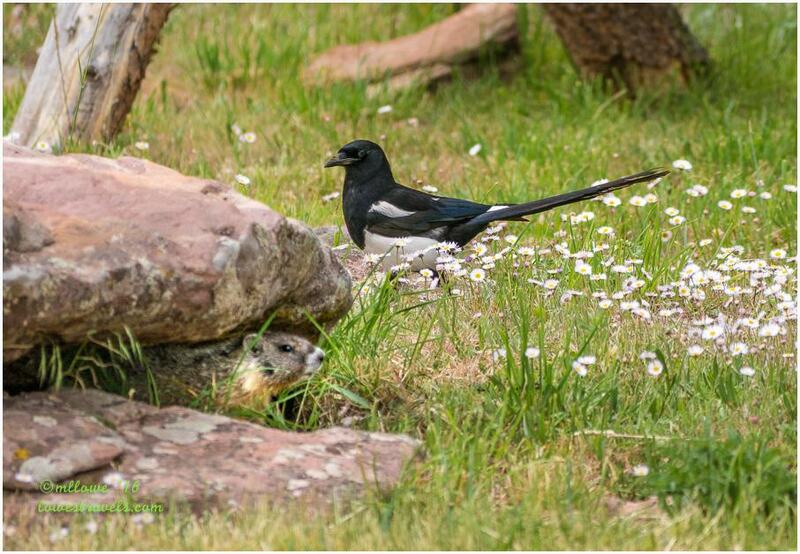 Back at the campground we had lots of entertainment – a herd of cows passing through, marmots scurrying around our site and birds stopping by for a snack. 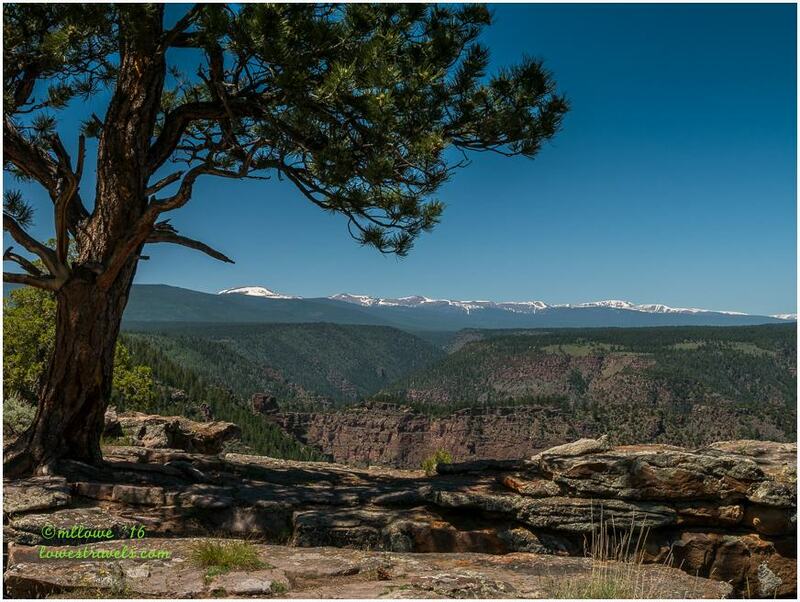 The Flaming Gorge landscape is aptly named, and there is plenty of room to play in this beautiful scenic place. But our week came to an end, and it was finally time to say goodbye to Utah. Beautiful. 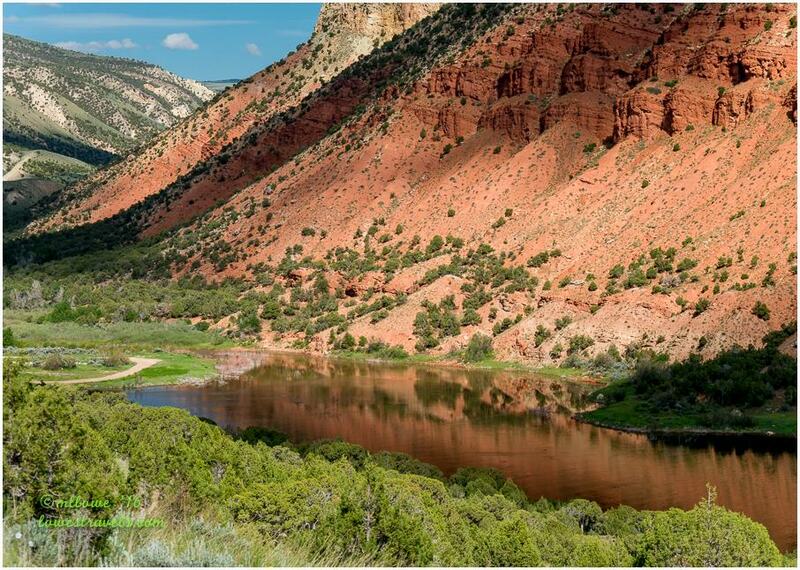 I remember stopping by Flaming Gorge back in the 1980s when we lived in Utah, but we must not have done much there as my recollections of it are quite vague. You should just stay inside the RV and not walk around so much with that bad leg. You are just going to make it even worst. I’m kidding!!! I’m just pulling your leg (pun intended this time, Ooops). Geez, bionic woman, you get so much scenic views even with a bad knee. Admirable, and inspiring! What a beautiful week. Love Miss#13…how cute! This is such a beautiful area. 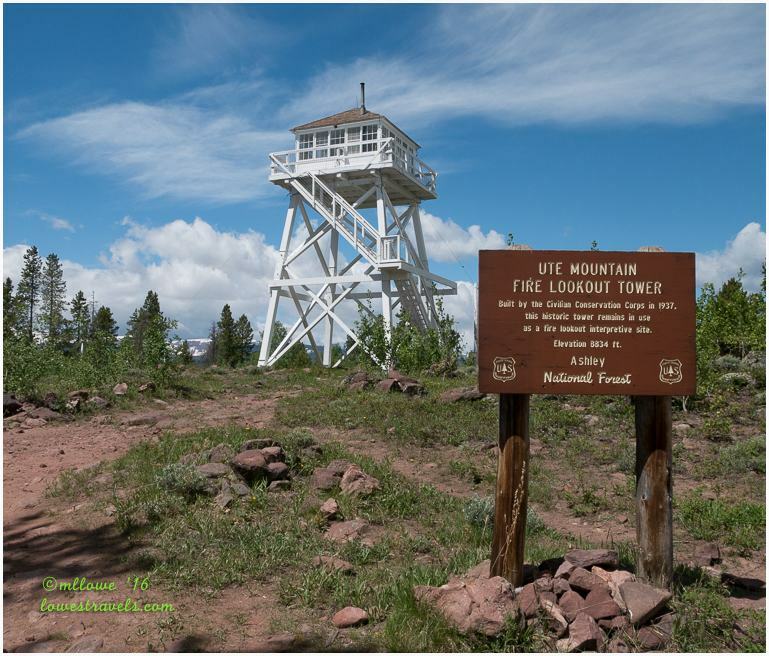 It was fun to revisit through your eyes:) When we got up to the Fire Lookout Tower, they were just closing up because they got a call to head out to another state to fight wildfires. 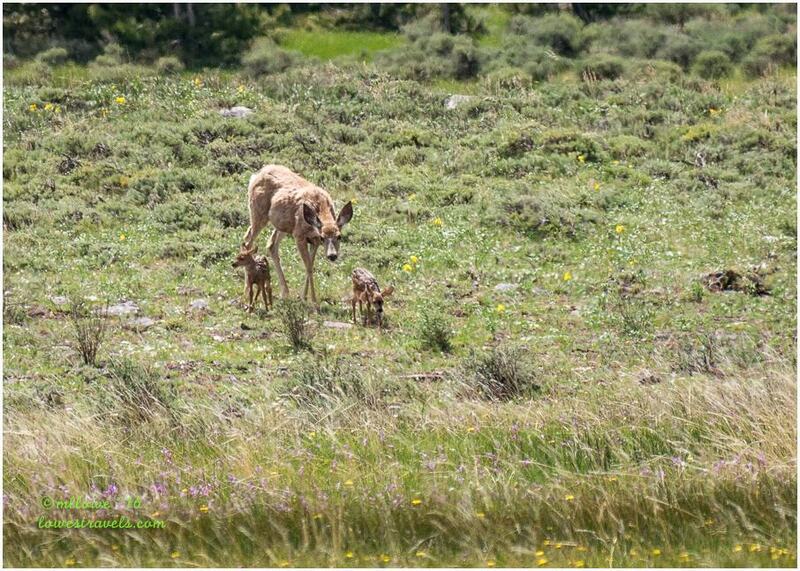 Love the mom and her twins:) I believe you are caught up…wahoo!! 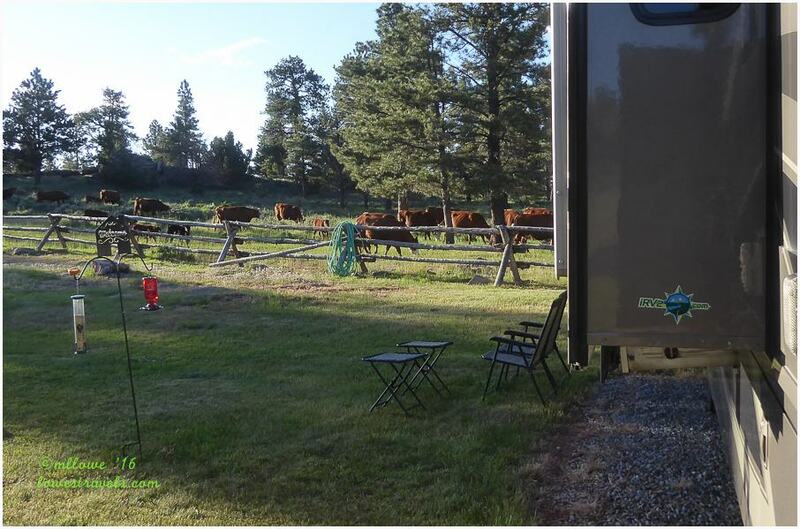 So cool that you guys traveled so many of the scenic byways of the Flaming Gorge! Thanks for taking us with you. 🙂 This is an area we’ve not yet explored, but now we’re intrigued. 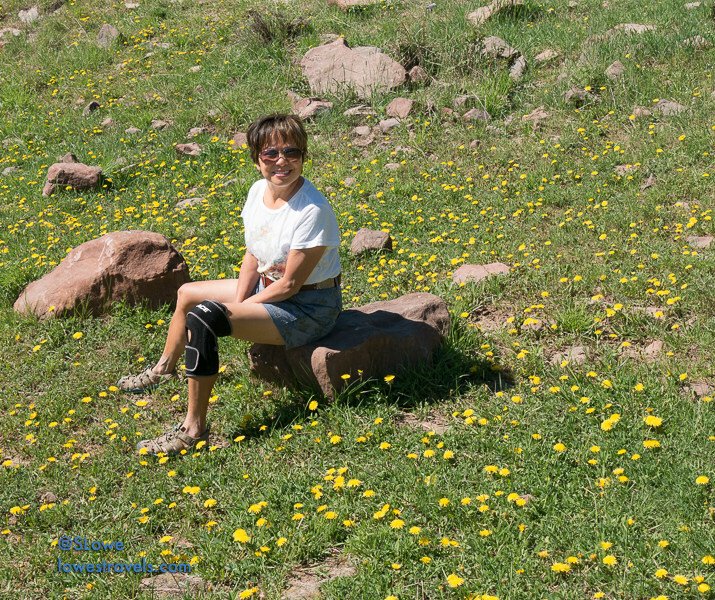 Seems like the perfect area for auto-hiking as you recover from your injury. 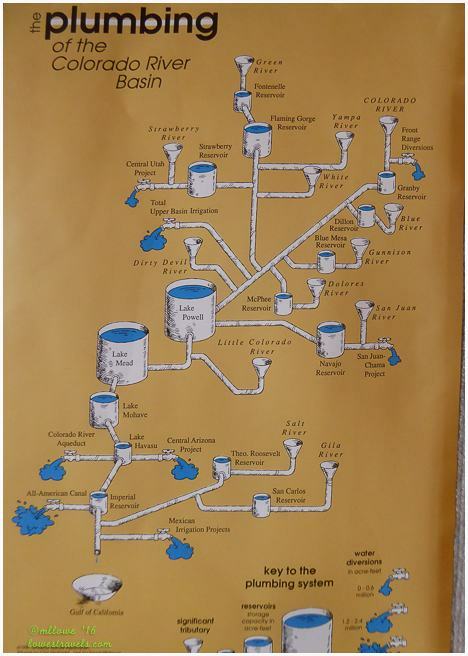 The poster depicting the plumbing of the Colorado River Basin is fascinating. I am so happy to see you able to do so much despite your knee. You are really making the best of it. Beautiful pictures. 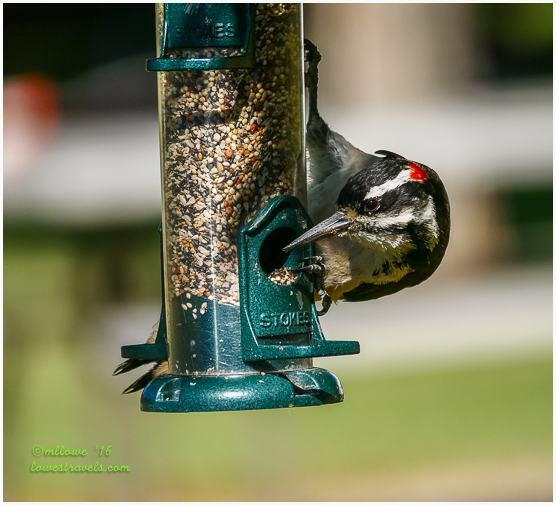 Love the one of you at Sheep Creek Overlook and the great shot of the Hairy woodpecker. The poor Colorado River. I wonder how long before there just isn’t any water to float. That would be an economic downturn. Sorry to hear you having hot temperatures. That seems to be a common theme even in places I expect to be cool in summer. Bummer about the Wild Horse loop. The power of that water coming out of those pipes is crazy, Mona Liza! Wow! Beautiful pictures, our one day auto tour gave us just a taste for this wonderful area, hope to be back one of these days. Thanks for the post. 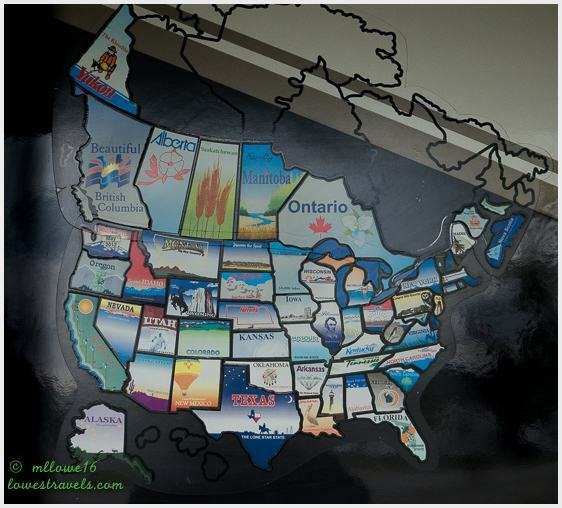 Pics are beautiful – Have safe travels!